My name is Jeremiah, I am 23 months old. 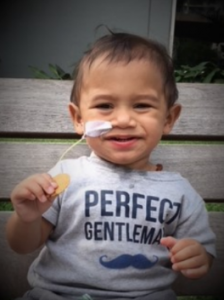 I stayed in the Neonatal Intensive Care Unit, (NICU) at Kapiolani for 7 months. My mother Leilani stayed on Oahu with me while my father, Kaipo and 2 brothers, Keala and Kawika stayed on the Big Island while I got stronger. Since I have been home, Early Intervention Services with Family Support Hawaii has helped me to develop many skills such as crawling, walking and talking, to name a few. We are filled with gratitude for my therapists coming to my home every week. During this time my mother Leilani, has become an independent consultant with Usbourne Books & More. In return for the services we received we would like to give something back to the program. 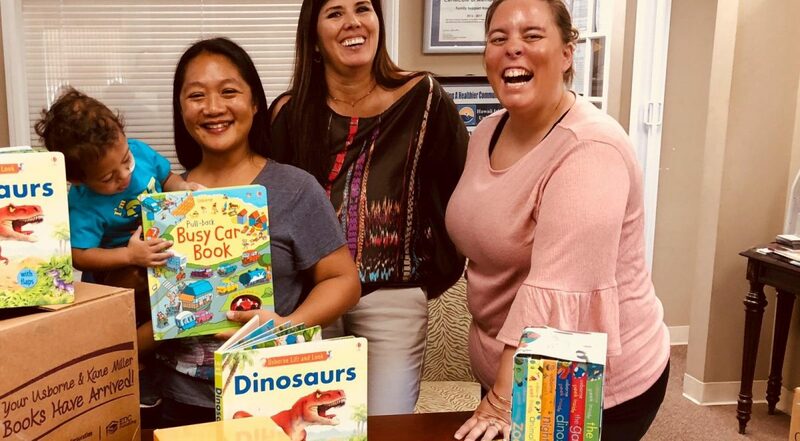 Through the Literacy for a Lifetime grant will match 50% of donations received, every child currently receiving services through Early Intervention will receive a book, we were able to generate a total of $1223.00 in free books, through generous donations and 50% match, for our Keiki.